This course will present coaching techniques and strategies to should be applied to schools and teaching. The content goes beyond the sports field and into the classroom and relationships to students. Concepts for coaching in the classroom that builds trusting relationships are presented. 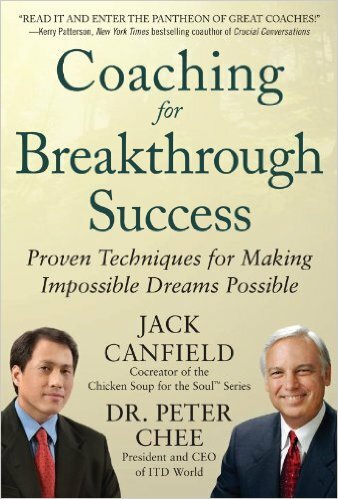 Other paradigms of coaching models used by motivational and self-improvement authors and speakers are offered for educator use and school applications. Educators will apply the concepts into schools settings by developing writings, lessons and classroom activities for instructional settings and schools. Educators will learn how to bring the coaching spirit into the classroom and develop trust and relationships that go beyond the general standard instructional format. Teachers will review basic listening, feedback and questioning techniques. Paradigms of situational coaching will be presented for using intuition and a responsibility for results. Educators will be presented with clarifying life goals and school purposes along with visualization techniques so students can set specific goals and visualize outcomes. Students will be able to use the Law of Attraction to enhance their learning and school experience and preserver regardless of obstacles and setbacks to achieve academic goals. Teachers will develop writings, lessons and affirmations for classroom and student applications that make their students dreams possible as well as for educator success.